Cleopatra is a classic slot game developed by famous slot game developer IGT. It has been around for quite a while now and is one of the most popular slot games. 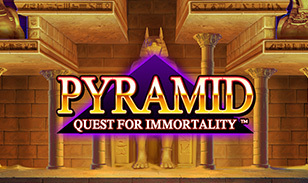 The slot is based on the last Pharaoh of Egypt. And hence, it has an ancient Egyptian theme. The game looks bright and vivid with the colour gold being used quite liberally in the theme. But it does sort of provide grandeur to the game. Why is this slot such a timeless classic? Well, read on to find out. International Game Technology or IGT, as it is popularly known, was originally an American gaming company based in Las Vegas. It is one of the leading slot game developers in the world. The slots have 5 reels and 20 paylines. You can play it from as low as 1p per line to as much as £5 per line. That means it’s a minimum of 20p and a maximum of £100 per spin. The slot game is a nicely balanced one. The base game offers some pretty decent wins and the RTP percentage is thus quite good. But the real action in this game is in the bonus rounds. The Cleopatra bonus feature is what makes this slot as popular as it is. You get up to 180 free spins in this feature along with a 3x multiplier. Now, how cool is that? The slots game also has a really good jackpot of 10,000 coins which you’ll win if you land 5 Cleopatra logo symbols on the reels. The same symbol also serves as the wild in this game. It changes into ‘Double’ if you land one on the reels to double the wins that you get. And that’s not everything! If you think that 180 free spins are not enough for you, this game has more. Land 3 or more of the Sphinx symbols on the reels to get more free spins. Cleopatra slots is indeed a timeless classic. This is one slot game that has everything for all types of players. It has a great theme, a good gameplay and some action packed free spin rounds. So, what more can you ask for? Get online and start spinning already.